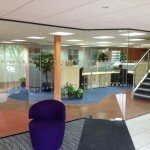 Storage Concepts continue to secure projects utilising their frameless glazed partition system. 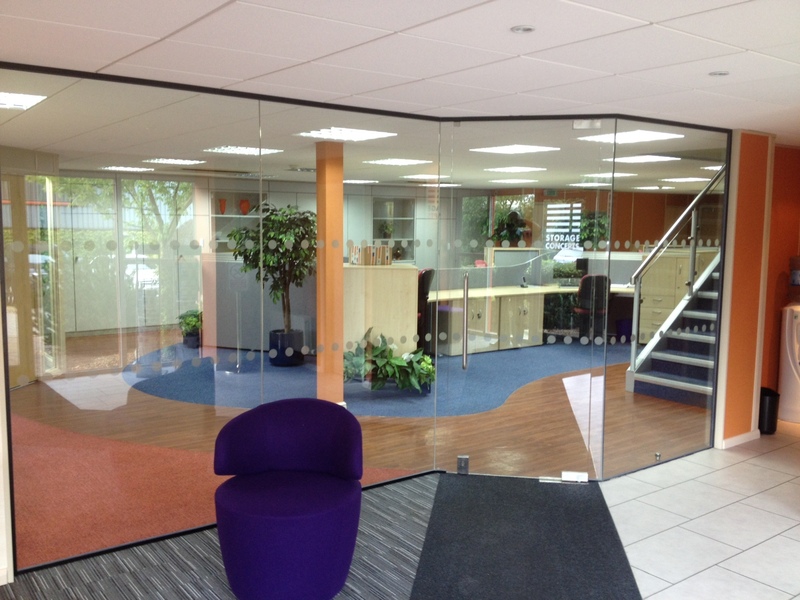 The system which has a micro head and base rail utilises 10mm, or 12mm, toughened glass to provide a unique modern glass partition system. Giving a contemporary open plan feel to office and reception areas. The competitive pricing of the Storage Concepts portioning. When compared against similar more established products in the market place, shows an excellent cost advantage. Furthermore, when taken in conjunction with high quality finishes. Specification of the system has allowed Storage Concepts to secure a number of valuable projects. 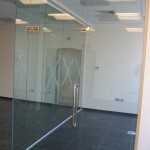 frost film manifestations to the completed partitioning installation. For instance the use of simple dots or squares, can be tailored to individual client needs with the provision of company logos and motifs. 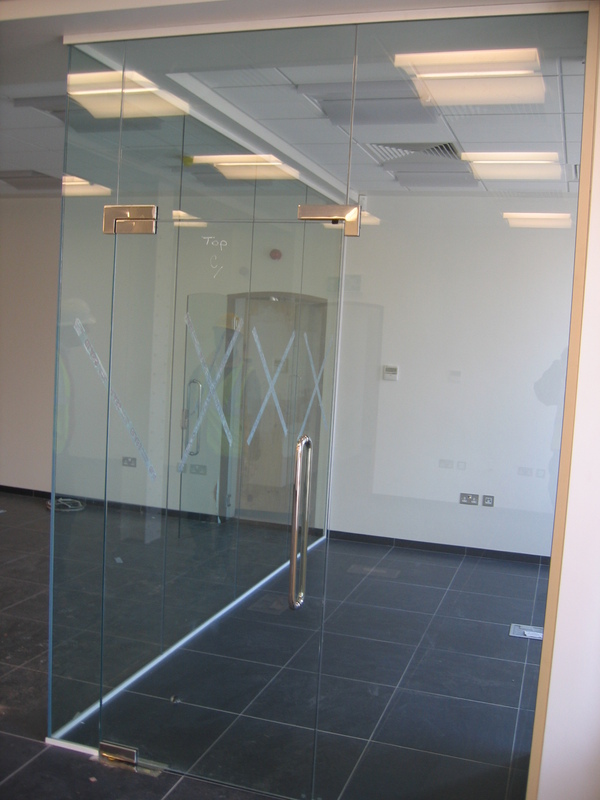 Glass doors are an integral part of the system. They can be provided frameless, with pivot hinges, or in a powder coated aluminium frame. In Brief projects are priced on an individual basis, please contact our sales office for further information on any specific requirements. Or fill out our contact form.